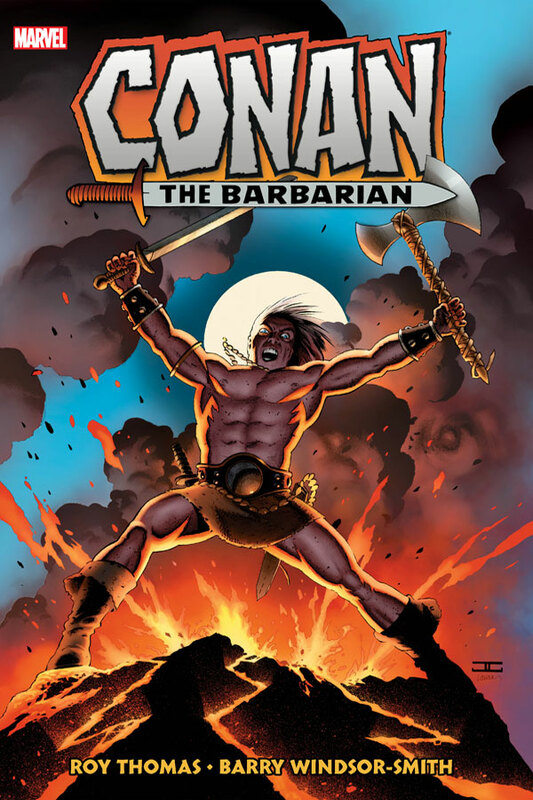 The original Marvel Conan is back! The greatest saga in sword-and-sorcery history begins – the saga of Conan! Born on a battlefield in the frozen lands of Cimmeria, Conan fights his way through the untamed Hyborian kingdoms, sparing no man, woman or wizard his wrath. His adventures will become legend. He will become king. Roy Thomas and Barry Windsor-Smith brought Robert E. Howard’s iconic creation to four-color life with work that set new standards for comic book storytelling. Marvel is honored to present each story, each cover and each letters page – all painstakingly restored to match the majesty of the original editions. In these early exploits, Conan ventures from his homeland for the first time, honing his skills as a thief, mercenary, pirate and above all, warrior! Collecting Conan the Barbarian (1970) #1-26 and material from Savage Tales (1971) #1 and #4, Chamber of Darkness #4 and Conan Classic #1-11.